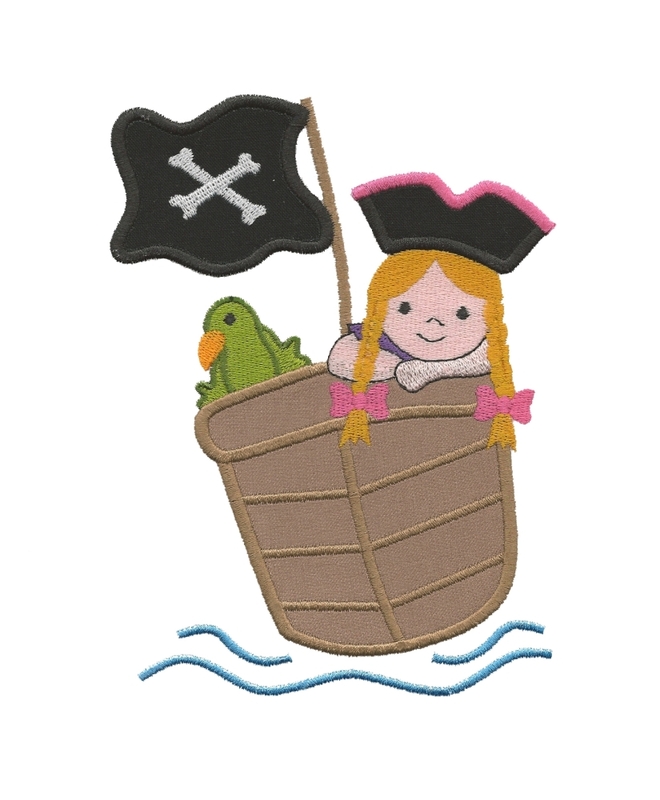 Girl in Pirate Boat Applique - 3 Sizes! Girls wanna be pirates too! Very fun pirate design. There is a matching boy design as well, sold separately below. Includes 4x4, 5x7 and 6x10 sizes. Pirate Loot Applique - 3 Sizes! Pirate in Boat Applique - 3 Sizes! Finish Size 3.33" x 3.87"
Finish Size 4.55" x 6.20"
Finish Size 5.35" x 7.30"